India has rejected Google’s plans to put Indian cities, tourists spots, hills and rivers in an application in which one can explore through 360-degree, panoramic, and street-level imagery. Official sources said the rejection came after a detailed analysis by security agencies and defence forces which feel that allowing Google to cover India would compromise country’s security interest. The Internet services giant wanted to cover most of the Indian territory through Google Street View. It explores places around the world through 360-degree, panoramic, and street-level 3D imagery, and posts it online. While it has been extensively used in the United States, Canada, and many European countries, its applications in India was initially permitted for a few locations. 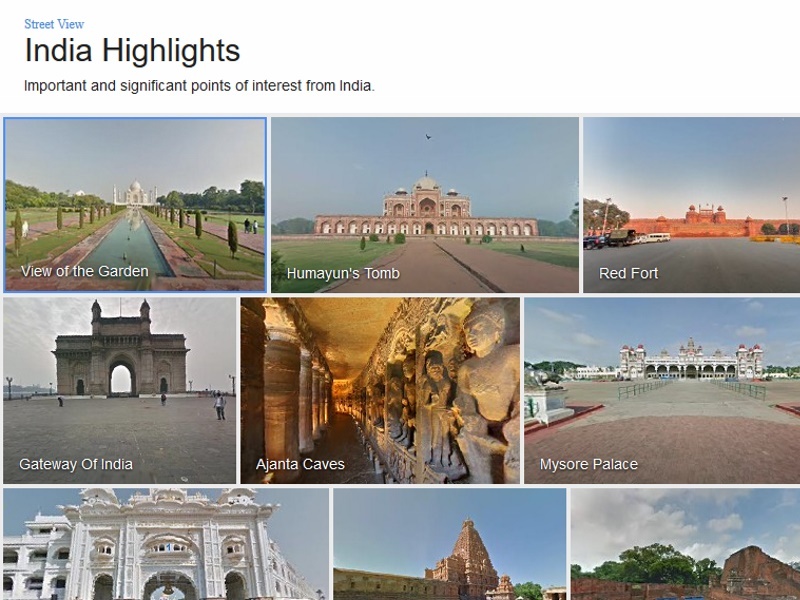 Google had on an experimental basis launched Street View in some of the tourist sites like Taj Mahal, Red Fort, Qutub Minar, Varanasi river bank, Nalanda University, Mysore Palace, Thanjavur temple. Chinnaswamy Stadium besides others locations in partnership with the Archaeological Society of India. Streets with Street View imagery available are shown as blue lines on Google Maps. It displays panoramas of stitched images. Most photography is done by car, but some is done by trekker, tricycle, walking, boat, snowmobile, camel, and underwater apparatus.